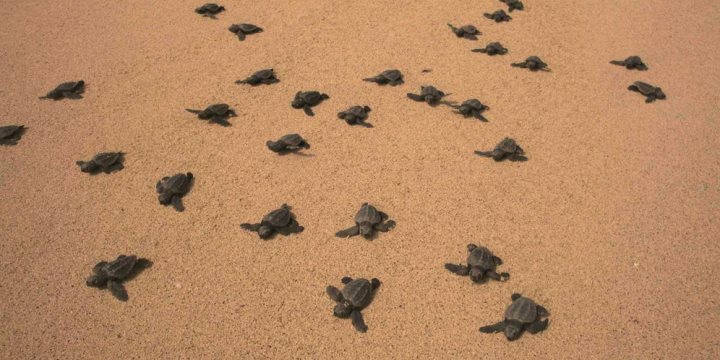 Ervatão Beach, located on the south-east coast of Boa Vista, is considered the third most important loggerhead turtle nesting site in the world. Between the months of July and September, and as the evenings and nights close in, you can witness the turtles making their way across the sand to nest and lay their eggs. 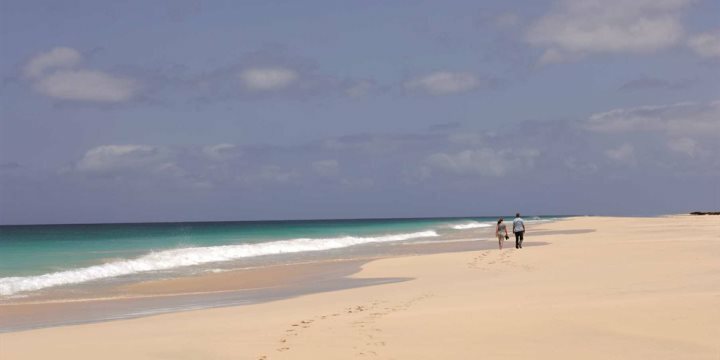 Boa Vista’s gorgeous coastline is blessed by several beaches which are defined by sweeping, golden sands, and lapped at by inviting turquoise water. Setting up camp on one or two of these beaches during your stay on the island will promise unrivalled relaxation, particularly on the breathtaking sands of Praia de Chaves and Santa Monica Beach, both considered among the most impressive beaches in Cape Verde. 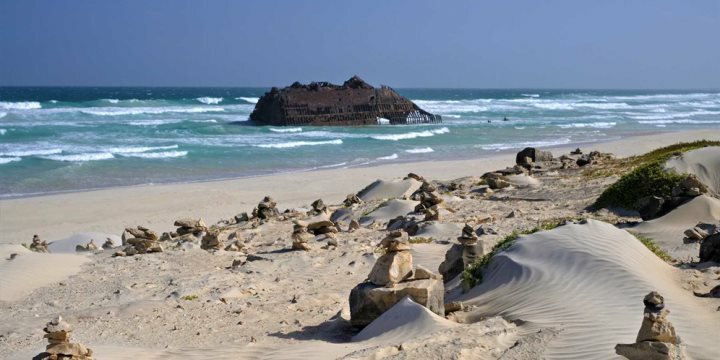 Best reached via one of our exciting 4x4 tours, a visit to Praia de Santa Maria will allow holiday-makers to witness one of the most iconic scenes on the island of Boa Vista. The shipwreck of the Cabo Santa Maria, after which the beach is named, ran aground here in 1968 while sailing to Brazil, and today the rusting wreck provides one of the best photo opportunities in the archipelago. 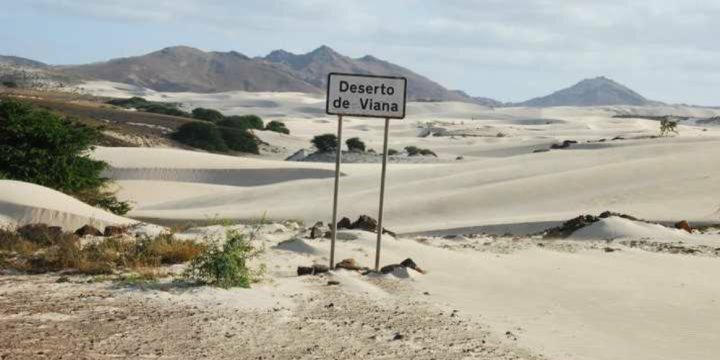 An additional popular stop on our tours of Boa Vista, and easily combined with a visit to the shipwreck, the Viana Desert is another of the island’s most striking spectacles. These expansive white dunes have been formed over time by the sands that have blown across the Atlantic from the Sahara Desert, and are ready to give visitors their Lawrence of Arabia experience!